The rise of the cloud has produced billions of new apps that hold untold amounts of confidential data. These cloud-based apps give businesses of all sizes the agility necessary to thrive in an increasingly fast-paced marketplace. However, they also create a host of complex challenges—and new risks. And, with automated tools and a growing repository of expertise for hire, threats are increasing and hacking has turned into a for-profit game. 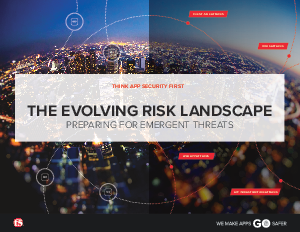 So, while apps have increased productivity and the speed of innovation, they have also opened the door to unprecedented threats, expanding the risk landscape and putting corporate data and reputations at risk.